Hawkspirit&apos;s eyes brightened as he turned to face the pounding paws towards him. "Skypaw!" He meowed a friendly greeting. His eyes were friendly and inviting, as always. "Hawkspirit!" She returned the enthusiasm until she realized Nightflare and her three mentors looked at them with confusion. "What brings you here?" She meowed, her voice more flat as if two warriors were talking. "We came to get herbs from Willowleaf," Hawkspirit explained. "We&apos;re doing a trade. We&apos;re right on time, according to the last time we chatted." Skypaw noticed Nightflare&apos;s jaws were clamped around bundles of leaves. Skypaw didn&apos;t know what to say. 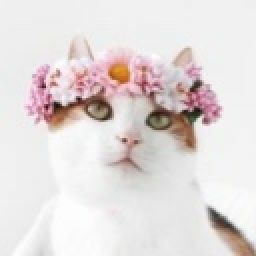 Looking back at the ThunderClan she-cats, they shrugged. Hazelflower decided to speak. "Skypaw," She cleared her throat. "Maybe you want to tell Nightflare and Hawkspirit what happened." Skypaw nodded and stared at her paws for a second. Nightflare and Hawkspirit both had looks of alarm on their faces. "S-Sunstar exiled her," Skypaw stuttered. Hawkspirit gasped, and Nightflare meowed something that Skypaw couldn&apos;t understand due to the herbs in her mouth. "He thinks you used her to get her away from camp and to get in the heart of the battle to heal your warriors," Skypaw explained. Nightflare lashed her tail, and anger grew in Hawkspirit&apos;s eyes. "When she tried to stand up for you, he called her a traitor and made her leave ThunderClan." Skypaw purposely left out the part that the former ThunderClan medicine cat was exiled into ShadowClan&apos;s territory. "Nonsense!" Hawkspirit hissed. "We&apos;re medicine cats, it goes beyond our code!" "We know," Petalheart&apos;s voice chimed in. "but what is done is done." Flarecloud had a look of disapproval on her face and glared slightly. Did I say too much? Skypaw didn&apos;t care. They may be ShadowClan, members of the coldhearted, but they were medicine cats. 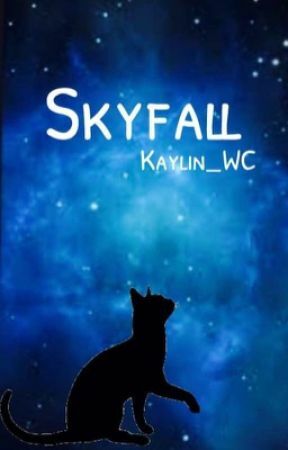 Skypaw couldn&apos;t recall a medicine cat that had ever murdered someone. "Maybe if we speak with Sunstar he&apos;ll let Willowleaf return?" Hawkspirit suggested brightly. Skypaw admired his enthusiasm while he suggested favors to another Clan. "There&apos;s no need," Flarecloud meowed flatly. Skypaw found herself glaring at the ginger warrior. "Flarecloud," Hazelflower gave the ginger warrior a sharp look. "Don&apos;t be rude. They&apos;re trying to get our medicine cat back." "Sunstar will never allow it and just hate on them," Flarecloud retorted. With a smug expression, she added, "I know my littermate." Petalheart shot Flarecloud a harsh look and Hazelflower&apos;s eyes narrowed. Skypaw was still glaring, and the ShadowClan medicine cats lashed their tails. Skypaw could tell Flarecloud was growing uncomfortable as she shuffled her paws. Nightflare lightly set down the bundles of herbs she was carrying. Swiping her tongue across her lips a few times to get rid of the taste, she meowed, "We were just trying to help, Flarecloud." Nightflare&apos;s tone was flat. Nice going, Flarecloud! Skypaw hissed to herself. "As medicine cats, Willowleaf is our friend and somewhat an ally in StarClan&apos;s name," Hawkspirit added. "I don&apos;t suppose what we do with these herbs for Willowleaf now," Nightflare stared at the bundles at her paws. "We really needed that catmint." "Skypaw, show them to the border." Flarecloud snapped. Skypaw shot Flarecloud a look, Hazelflower doing the same. "Someone woke up on the wrong side of the nest today," Hazelflower retorted. "If you&apos;d excuse me, Skypaw is my apprentice. Don&apos;t be rude to her." Skypaw&apos;s heart warmed when she realized her mentor was sticking up for her. Flarecloud did nothing but lash her tail. "I&apos;ll meet you in the training hollow?" Skypaw looked at Hazelflower for approval. She nodded. Setting off with Nightflare strangely leading the way, Hawkspirit and Skypaw trailed behind. She was trying to figure out something to say to ease the tension, but luckily Hawkspirit saved her tail. "So, how long until you become a warrior?" He questioned. "Almost two moons," Skypaw replied. "My fourth moon of training is just wrapping up." "Were those all your mentors?" Surprise was heavy in his mew. "No," Amusement glittered in Skypaw&apos;s eyes. "Those were my littermates&apos;, Rainpaw&apos;s and Shadepaw&apos;s."
"I see," He paused for a moment before continuing. "Will you be at the Gathering?" "Yes," Excitement echoed in her voice. "I wonder what Sunstar is going to say about Willowleaf," Sympathy filled his meow. Skypaw found it interesting how he could change emotions so quickly. "Aren&apos;t we all?" Skypaw stared at her paws. What was Sunstar going to say about Willowleaf? Surely cats will ask! Hawkspirit slowed down. Confused, Skypaw stopped and looked back at him. Worry spotted in his blue eyes. Skypaw flicked her ear. "What&apos;s the matter?" She asked. "Nightflare and I didn&apos;t know ShadowClan was going to attack when we came to talk to Willowleaf," He meowed, his tone nervous. "It was coincidental, and I promise I wouldn&apos;t try to hurt y-ThunderClan." He stuttered. "I know," She replied assuringly. "Medicine cats don&apos;t participate in their Clan&apos;s battles. I know you would be above that." "Yeah," Hawkspirit stared at his paws. He quickly snapped his head up when Nightflare&apos;s annoyed, muffled meow sounded from ahead. Hawkspirit and Skypaw dashed side by side until they caught up with the black she-cat. It stil rattled her to think she was related to Nightflare, and even Dapplestar. As Skypaw and Hawkspirit continued to walk side by side, Skypaw surprised herself when she realized this was the safest she&apos;d felt in moons. I&apos;m going to try to update one more time tonight since no one is currently roleplaying with me on Final Dawn. It&apos;s almost 10:30 though, so no promises my parents won&apos;t cut me off.